Today's news made me really happy when I read the headline, and then really sad when I read the article. 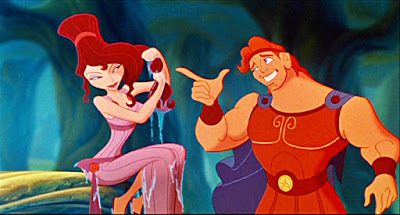 A stage adaptation of Disney’s 1997 animated musical Hercules will be presented at the Public Theater this year at the company’s outdoor Delacorte Theater in New York’s Central Park. Lear deBessonet, a resident director at the Public and a founder of the Public Works program (through which Hercules will be presented), will direct the musical, which will run Aug. 31-Sept. 8. All of this is awesome, but sadly, beyond the Public production, there are currently no commercial plans for the title. Um, Broadway? I need this thing, okay?